There are a lot of instructions on this page- please read all the way through! 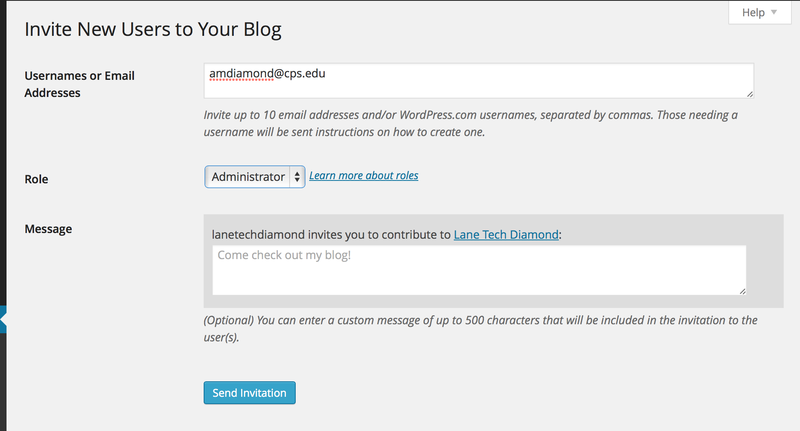 It is incredibly important that you add me as an ‘administrator’ on your blog…not a ‘follower’. You will not receive credit for your assignments if I am not the administrator. Directions for that are towards the bottom of the site. For example, I would type http://photographyelephantssunflowersellen.wordpress.com/wp-admin to get to the dashboard on my site. Make sure your About and Quarter One pages are visible. If you have a ‘Contact’ page, you need to delete it. If your pages are not showing, it is because you have not confirmed your email OR it is because of the theme.